But things aren’t looking good. 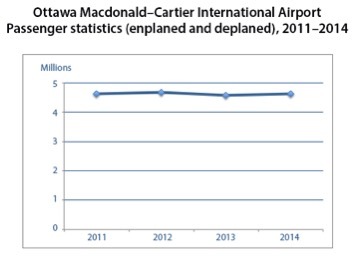 Out at the Ottawa Macdonald–Cartier International Airport, the stats reveal that overall passenger traffic has hovered around 4.6 million for the past four years—and 2015 is on track to be much the same. It’s not as if we have nothing to offer. We have world-class museums, historic sites, galleries and exhibition spaces. We have the new Shaw Centre (“a state-of-the-art, unique, beautiful facility, according to Kessler) and the National Arts Centre for music, theatre, comedy and lots more. And then there is the seemingly endless festival season. Did you know that the festival umbrella group Ottawa Festivals has 85 members representing just as many events? From the Scottish Society’s Hogmanay, the Craft Beer Festival and the Canada Day celebrations to the city’s many music festivals—think Bluesfest, the Jazz Festival, City Folk and many others—you can’t walk down the street in Ottawa without bumping into a festival banner. We built it, so why aren’t they coming? In business, if you have a great product and a huge potential market and people still aren’t buying, there can be only one reason: they haven’t heard about it. We go to all lengths to develop the tourist attractions but we do not have the bandwidth to promote them to potential buyers. Does that make sense to anyone? Promotion is what will get tourists here and give Ottawa the economic activity it needs to prosper. 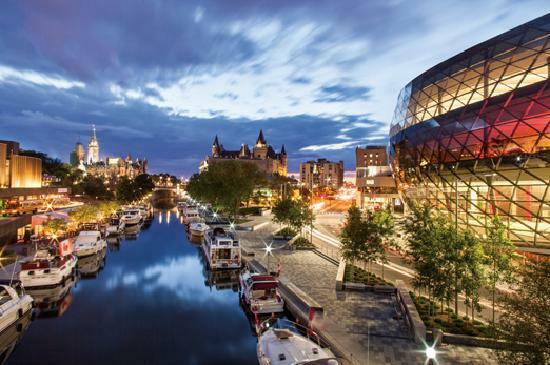 It’s time for tourism promoters—and that often means various orders of government—to show the kind of commitment necessary to make a difference in the number of tourists who find their way to Ottawa. It’s not as though we have nothing to offer. It seems we just aren’t committed to promoting this great city.